Is the powder paradise calling your name? With the Alyeska Armor HS Hooded Jacket Men, you're all set for wintry conditions. Mammut® Phase Map™ technology seamlessly integrates and combines extremely different material properties and processing methods into a single material, allowing you to enjoy high comfort of wear. 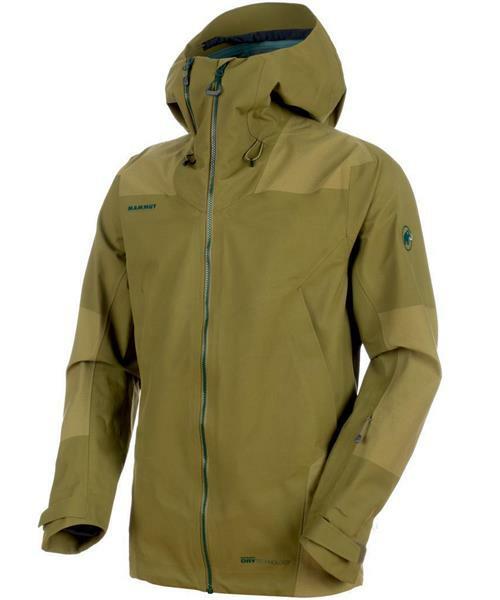 This technology integrates abrasion-proof zones into areas subject to particular stress, which strengthens the durability of the hard shell jacket. Perfect when you're letting it rip on the slopes. * Pocket on collar provides additional space for helmet straps, scarf, etc.